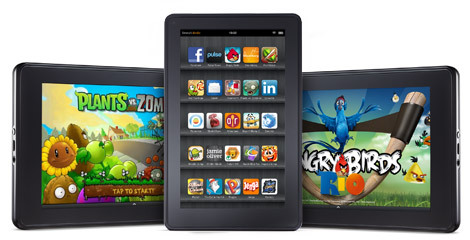 Online retail giant Amazon has been slapped with a lawsuit filed by the U.S. Federal Trade Commission after parents complained that they have lost their hard-earned dollars, amounting to millions, to the simplicity of making in-app purchases through Kindle Fire, performed by their children. However, many view the suit as unnecessary because Amazon also has a policy in place to issue refunds to users who would request for a return of their accidentally dispensed money. According to the complaint filed in U.S. District Court in Washington, thousands of parents have been victims of unwarranted in-app purchases unwittingly made by their kids and that Amazon failed to implement a password and payment credentials to authorize the purchase. One case involved a single purchase that reached $358 for in-game payments. This case is not something unprecedented, however, as similar complaints have begun to sprout since Amazon launched the in-app purchase in 2011. The unauthorized and accidental purchases have since amounted to tens of millions of dollars. One of the things that make it easy for kids to make the purchase is the automatic link between the parent’s credit card and the mobile games, which can charge the parents either through virtual currencies or real money. In particular, the lawsuit is targeted at Amazon’s 1-click purchase option that even a toddler can randomly hit with a poke of a finger but not necessarily becoming aware that it would cost their parents dollars. Some of the parents have raised their issues nearly three years ago and it was only until recently that Amazon approved their policy to issue refunds for valid complaints. The FTC, on other hand, found no measure in place on the part of Amazon to ensure accidental in-app purchases could be prevented as there is no requirement for password to purchase virtual goods with real-world money. FTC could also use its argument against Apple over the same case recently in which the regulator won the court’s favor. That case is seen by many to cushion the FTC’s case against Amazon. To bolster its defense, Amazon could argue against the parents’ negligence over their children’s activity with their mobile devices.